Techniques for depression self-help that you can practice easily on your own. Information on how to use EFT Tapping to change your emotional state and eliminate symptoms of depression naturally. Education about depression, personal growth and healing. Tools, such as my guided mindfulness meditations and free monthly Self-Help newsletter. Links to interesting and original alternative health products and technologies. Information and tips about the most effective Depression Treatments. In a retrospective study of 10-year outcomes, Dutch investigators found that 76% of those not treated with an antidepressant recovered and never relapsed, compared to 50% of those prescribed an antidepressant. Sunlight - an hour of direct sun exposure every day if available (morning sun is best as light therapy). Mid-day sun is also good for Vitamin D production. Regular human contact. Avoid social isolation. Exercise. At least 3x per week, 20 minutes or more at a time. (Increased frequency and duration is even better). Cardiovascular activity is preferable. (See you doctor if you have any health concerns before starting any physical exercise routine). Martial Arts are one of the best mind/body methods for depression self-help. Talk to your doctor or nutritionist about your nutritional needs. Ask about vitamin B12 Also B6 and B3 and Folic Acid, and Vitamin D levels. A good website about the benefits of Vitamin D is: Vitamin D Council . Talk to your doctor or nutritionist about a good natural supplement for maximizing optimal functioning and circulation for the brain. Good nutrition: pure foods - organic food whenever possible; minimal sugar, caffeine and preservatives. Avoid alcohol and marijuana. Absolutely do not use amphetamines, cocaine, methamphetamines or any other stimulant street drugs. Ask your doctor or nutritionist about Fish Oil as a source off Omega-3 Fatty Acids. Keep a journal. Write for yourself, not for anyone else. Don't worry about how it looks, just write what comes without filtering or editing anything. Daily journaling is recommended. Effects of exercise training on older patients with major depression. Blumenthal, J. Archives of Internal Medicine 159 (1999):2349-56. In this Duke University study, older depressed patients were treated either exercise alone, exercise plus Zoloft, or Zoloft alone, and at the of 16 weeks, those treated with exercise alone were doing as well as the other two groups. In the Duke study (above), at the end of ten months, the exercise-alone patients had a much better stay-well rate than either of the other two groups. It is important to rule out medical causes. Please talk to your medical doctor if you have concerns about depression. Consult your primary care doctor for anti-depressants only if you are unable to get an appointment with a psychiatrist. (In any case, it is wise to first get a medical evaluation to rule out conditions such as low thyroid). Licensed Alternative/Holistic health practitioners (Doctor of Chinese Medicine or Naturopath) would be another option to seek further evaluation. Bipolar Disorder and severe or life threatening depression (suicidal thoughts, psychosis, or vegetative symptoms - staying in bed, not eating or caring for basic needs) are special cases in which medical care is important, at least during the crisis phase. Meditation practices (introspective practices) in these severe cases should only be undertaken with competent supervision and instruction, and in some cases is not recommended at all. Endogenous Depression: Depression that is not caused by any external factor. Usually used to describe a depression that is purely the result of biological factors, such as a brain disorder, hormonal imbalance, or neurological dysfunction affecting one or more neurotransmitters (we have more than 100, but hear most about serotonin, norepinephrine, dopamine, and GABA). Bipolar Disorder (Manic-Depression) is a brain disorder which at times may appear identical to other forms of depression. Other medical problems, such as low thyroid, can also cause symptoms of depression. Environmental toxins may also be a hidden cause of endogenous depression. Check out this article on SixWise.com about common environmental toxins that may cause serious depressive symptoms. Mary Ackerley, MD is another excellent resource on the devastating effects of neurotoxins (such as mold) on mood disorders. Exogenous Depression: Depression that is related to outer circumstances and the negative or distorted thoughts about ourselves in relation to those circumstances. Although the source of the depression may be "external," the result often does have an actual affect on the brain chemistry. Existential Depression: A deep psychic pain which is not easily explained by biological or circumstantial reasons. Though this is not a typically used category for describing depression, it is an important distinction as it is often overlooked and minimized by helping professionals who encounter it. Issues such as Meaning, Purpose in life, Fear of Death and Loss are core existential issues that can cause one to suffer deeply. These fears are often deeply buried in the unconscious mind, yet they can still have great influence on us. Therapy and meditation can help bring these fears to consciousness where they can be transformed. Postpartum Depression: As many as one in five women experience some form of postpartum depression within the first year after the birth of a child. Both hormonal changes and psychosocial stressors can contribute to this type of depression. Treatment is extremely important both for the mother as well as for the well being of her child and family. Pain is a natural and unavoidable part of life. In order to experience pleasure, we must accept painful feelings as well. When we can remain mindful, aware of our experience in the moment - embracing whatever comes - without resistance and fear, we move through pain. Depression is characterized by a prolonged period of time in which negative thoughts and feelings predominate, interfering with our usual functioning, or blinding us from our true potential. There are several common types of depression ,each defined by particular symptoms and duration (and identified as distinct diagnoses). However, you can still suffer from depression without fitting all of the classic diagnostic symptoms. Depression affects both body and mind. For every emotion and thought we have, there is a corresponding chemical reaction in the brain. Thus, depression is rarely all "biochemical" nor completely "mental." It is most often a function of both, and the most effective depression self-help techniques approach healing from a holistic perspective. The Myth of the "Chemical Imbalance"
Drug companies and the doctors who are influenced by their propaganda have a deep investment in having you believe that your "chemical imbalance" requires medication - perhaps for years...even "for the rest of your life." Some research, however, suggests that outcomes for those taking psychotropic medications is actually worse in the long term, then for those who never take them at all! Potential sensitising effects of antidepressant drugs on depression. Fava, G. CNS Drugs 12 (1999): 247-56. Conclusion: "Use of antidepressant drugs may propel the illness to a more malignant and treatment-unresponsive course." All life evolves naturally towards health and wholeness. Sometimes we change very slowly and painfully. Sometimes rapidly and miraculously. Change is inevitable, and we grow and learn even despite our self-destructive actions. What we do for ourselves and the ways that we think about ourselves have everything to do with how quickly we evolve towards the joyful, Self-realized, creative and loving beings that we truly are. Depression is a state of contraction, experienced as apathy, fear, sadness, emptiness, and disconnection. These are not our Essential human qualities. When we experience ourselves without the interference of the negative mind, we feel peace, love, bliss, acceptance, and connection with all life. The greatest healing force available to humanity, is Love. Any effective healer, whether a Medical Doctor, body-worker, psychotherapist, or yoga instructor knows this fundamental truth. In fact, no matter what method of healing is applied, it is always secondary in importance to the genuine love and caring that is conveyed by the healer. The greatest healer available to you is your-Self. And to be your own healer, you must learn to fully love and accept all aspects of yourself. Eastern spiritual traditions teach us that what we normally identify as "me" is actually just a set of ideas, some positive, some quite negative, yet all of them in fact unreal. Learning to accept and face all those part of one's apparent self, is the first stage of self-healing. This is the real meaning of depression self-help. Anything within the mind that we deny, suppress, or feel ashamed of, becomes a source of depression, anxiety, self-limitation, and stagnation. When we practice compassion towards ourselves and others, by observing without judgment, we begin to free ourselves and discover the Essential Self - the Consciousness - behind all of our experiences. Mindfulness Meditation: Watching with non-judgmental awareness, all thoughts, feelings, sensations and sense perceptions. Mindfulness or Insight Meditation produces greater self awareness, acceptance, compassion and tolerance of uncomfortable feelings. By witnessing the psychological process of the mind, much can be learned about unhealthy patterns of thought and behavior. For mild to moderate depression, mindfulness techniques are an excellent tool for depression self-help. For moderate to severe depression, it is strongly advised that you seek the support and guidance of a meditation teacher/therapist. Concentration Meditation: Includes most Yogic forms of meditation and involves the practice of focused awareness on particular mental images, sounds and/or sensations, according to the technique being practiced. This type of meditation accesses reservoirs of untapped energy, bringing about shifts in one's perceptions and state of consciousness. It is more forceful and quick acting than mindfulness, and for this reason, is not recommended for those suffering from psychotic or manic states or those with impulses to do self-harm. A qualified teacher is essential for this type of practice to be safe and effective, but there are some simple techniques that you can begin to use for depression self-help. (Not recommended if you are experiencing severe depression or mania). Guided Mindfulness Meditation for Depression, Anxiety, and Stress. This meditation audio will quickly put you into a state of deep relaxation, and gradually into a deeper state of peace and clarity of mind. Listening to it daily will transform your emotional state and help you to see yourself and your life in a new way. Meditation is one of the best methods of depression self-help. And using a guided meditation audio makes it much easier to learn, and is also very helpful for minimizing distractions and help you to quickly achieve a deep meditative state. The Ultimate Depression Self-Help Package! This 96-Page, easy to read manual includes a free Audio Book of the same material, and also includes my 62-minute Guided Mindfulness Meditation. The book will teach you everything you need to know about EFT/Meridian Tapping - from the basic technique, to artfully applying it to a wide range of common issues that are often at the root of depression. 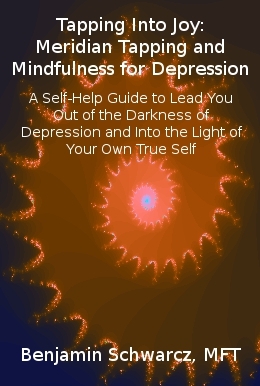 This is the first depression self-help book of its kind. Stress is a major cause and contributing factor in depression. Learn about some of the best new technological advancements in depression self-help through Stress Relief Games. Sign up for my free Newsletter "Mind Over Matter," covering more depression self-help techniques and more in-depth information for optimal health and happiness. Looking for a psychotherapist in Sonoma County? Find out more about Santa Rosa Psychotherapist Ben Schwarcz, MFT. This website may serve as a depression self-help tool, but the use of this information does not constitute a therapist/client relationship and should not serve as a means of self-diagnosis or a substitution for actual psychotherapy. The information on this site is for informational purposes only. If you are experiencing symptoms of depression it is advised that you see your doctor or therapist for an evaluation. If you are having active thoughts of suicide please call 911 or visit SuicideHotlines.com. 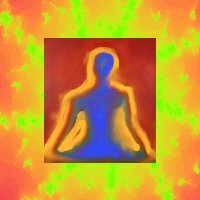 Free Introductory Meditation. Just Enter Your Email here.